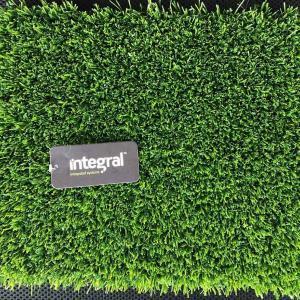 Integral is an artificial grass manufacturer for sport fields and landscaping located in Turkey. We offer full satisfaction to Our customers before and after sell. 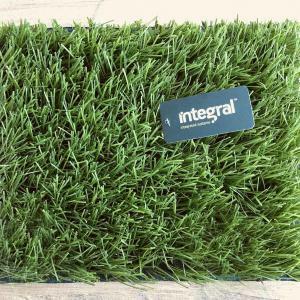 Integral grass has a factory area which is around 15.000 m2 in total. We have around 50 trained workers. Our yearly capacity is about 7.500.000 m2. Our artificial grass products are sold locally and exported to the world over 70 countries. We have Our own laboratory for testing the products. Cost of artificial grass lawns? 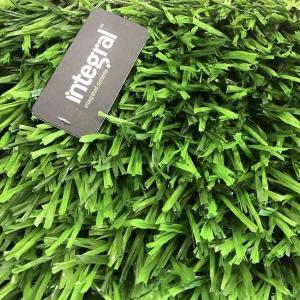 Artificial turf producst are having different heights and different shapes for different purposes.Garden grasses and sport grasses are not having same prices. Every grass has a different dtex and different weight.The weight and density are the main keys which are affecting the price of the artificial grass. Artificial grass and synthetic turf are having same meaning.Artificial turf products are made by big tufting machines and has a back coating. Synthetic turf products are used in different areas ; sport facilities,gardens, kids gardens ,decoration .. etc Artificial turf pile heights can be in different sizes. Our artificial grass is guaranteed to be free of heavy metals (Reach* certification), i.e. not containing any substance that could be dangerous to human health and the environment. 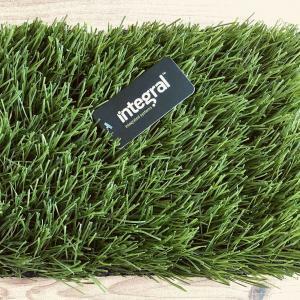 Integral chain of values As the specialist of artificial turf for ornamental and residential purposes, Integral stands out of the market with its total control of the chaine of values : from production to sales. Thanks to its know-how, Integral develops an exclusive and innovative collection to meet every demand of the market. With a concern for satisfying the needs of its customers,Integral selects its yarn manufacturers with extreme rigour, on the basis of their capability of supplying large volumes at constant quality. For the greatest possible reliability,Integral manufactures exclusively in Turkey, in one of the biggest European carpet producing factories, with a modern production facility of more than 170,000m². In making assembly a fundamental part of its sales policy,Integral ensures the industrial production of the samples, role cutting and the assembly of bobbin spools and handles their boxing. From manufacture to sale,Integral controls the entire chain of values so that its customers enjoy a highly renowned make, proven merchandising, flexible service and particularly competitive prices. 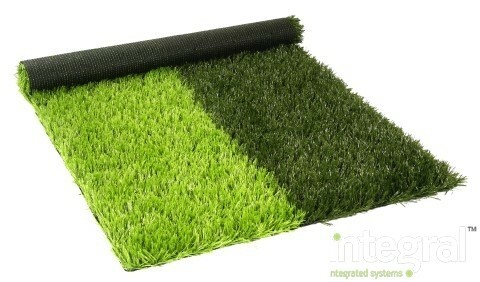 It is very easy to install sythetic turf .It can be laid on the surface easily.The edges of artificial grass carpet must be glued by two compenant adhesive.There is a special polyester band which is used for glueing under the carpet.The surface must be very clean before installing the grass carpet .There must be slope on the ground to draine the water. Do football stadium have real grass? Most of football stadium have real grass but not all.It is very difficult to keep natural grass always alive.Some clubs are preferring artificial grass in their stadiums because it is easy for maintenace and cost. Where to buy artificial grass ? Synthetic turf carpets are sold in rolls.It is manufactured by big tufting machines. The best option is to buy it from the producer in order to have the best price. Turkey is one of the biggest artificial grass manufacturer in Turkey.Integral constructs turnkey projects all over the world.